Research has consistently shown that senior citizens who participate in playing games and solving puzzles are more likely to have improved cognitive function. One of the most important things we can do is keep our bodies and minds healthy. We’ve all heard about the mind-body-spirit balance. We know in today’s world that all three are important when it comes to keeping your health in check. But you may not know that one of the most unexpected ways to keep your mind and spirit on track is by the simple act of playing cards. Whether you are worried about keeping your brain sharp or balancing your neurons to maintain emotional health, playing card games at sites like blackjack.org can help keep your brain on track for great health. Playing cards is one of the oldest and most popular forms of human recreation. In fact, playing cards for more than one thousand years, when the practice began in China. Since then, card games have become a staple of human recreation, both as gambling and for pure fun. This is because card playing has the unique effect of challenging your mind while opening up the possibility of social interaction. It is a pastime that is anything but passive. Research has consistently shown that senior citizens who participate in playing games and solving puzzles are more likely to have improved cognitive function. One of the key benefits of card playing is that it stimulates the short-term memory. 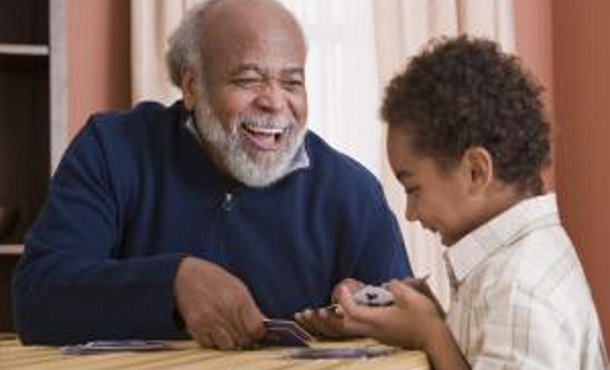 For older individuals or those suffering from dementia, card playing can be a powerful tool in helping keep your mind sharp. Players of games like blackjack challenge their mind to remember information such as which cards are still in the deck and which cards are in play. When a game relies on the use of players’ short-term memory, this may also help improve their long-term memories. Individuals who play cards for several hours a day are far less likely to experience symptoms of dementia. Whether you are suffering from attention deficit problems or you want to become a more focused thinker, playing cards can certainly improve your powers of concentration. When you play card games like blackjack, you have to work math problems in your head and keep track of whether or not you should bet or call, hit or stand. The same is true in poker, but keeping track of which hands are the most valuable. In both games, you have to calculate odds. Millions of people around the world struggle with depression every day. Depression can take over your life if untreated. Although serious depression should be treated by a medical professional, there are certain things you can do to help mitigate factors that may contribute to the development of depression. For individuals who are genetically predisposed to depression, it is important to have hobbies and interests that keep your attention. For this reason, card playing may help fight depression. For individuals who live alone and do not have many opportunities for social interactions, playing cards online can offer a welcome opportunity to enjoy doing something fun and engaging that helps keep your mind engaged. Keeping your mind stimulated may be one of the best ways to maintain a healthy mental state. Whether you are hoping to improve your mental focus or simply take up a new hobby, you can be sure of one thing–that playing cards is fun. With fast-paced games like blackjack to slow-burn games like canasta, there are countless opportunities to choose from. And in today’s world, you can enjoy playing cards on your phone or computer by simply typing a URL into your browser. Whatever your game of choice for keeping your brain healthy, have a great time!